Every 18 minutes, four Americans die from obesity. 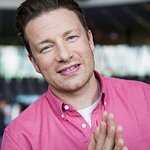 Chef Jamie Oliver believes that “food binds us to the best bits of life,” and is introducing healthy food to children to stop the obesity trend. In a fiery speech he gave at this month’s TED conference, Oliver presented some startling statistics, such as American children will live ten fewer years than their parents because of the landscape of junk food that they grow up in. While people spend their lives worrying about death, murder and safety, he says diet related diseases are the biggest killer in the United States today. Part of the problem is that America is into its third generation that has not been taught at school or at home how or what to cook. A film clip showed children in elementary school that could not correctly identify a tomato, cauliflower, beet, eggplant or potato. “That is a state wide endorsement of fast food,” says Oliver, “because it is hand held. Thirty years ago food was largely local and largely fresh. Now it’s largely processed and full of all sorts of additives and added ingredients.” There is as much sugar added to milk as to a can of pop, he says, in an unnecessary effort to get kids to drink it. 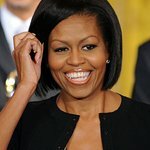 The good news is that obesity is a preventable disease, and Oliver offers educational solutions in the form of supermarket ambassadors and school curriculum, and business practice solutions within corporations and in support for America’s First Lady, Michelle Obama's efforts.